【Aim】Hemodialysis（HD）using citrate‒containing acetate‒free dialysate had a strong ameliorating effect on metabolic acidosis in our clinic, but metabolic acidosis was not sufficiently improved in some HD patients. Ferric citrate（FC）is an iron‒containing phosphate binder, and was reported to increase serum bicarbonate concentrations. The acidosis‒ameliorating effect of FC was retrospectively investigated. 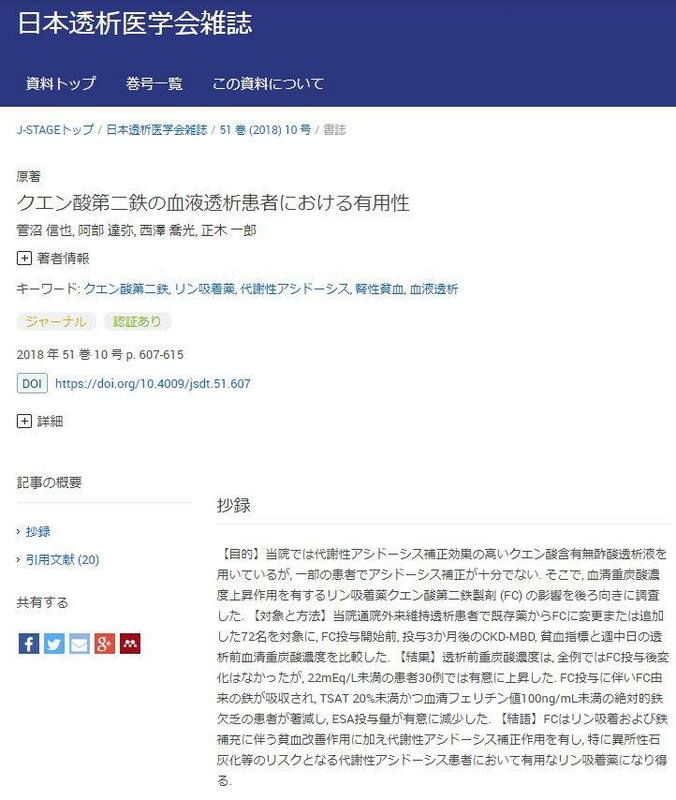 【Patients and Methods】Chronic kidney disease‒mineral and bone disorder parameters, the anemia‒related index, and the pre‒dialysis serum bicarbonate concentration were compared in 72 outpatient maintenance HD patients who were changed from existing phosphate binders to FC or had FC added to their existing phosphate binders. 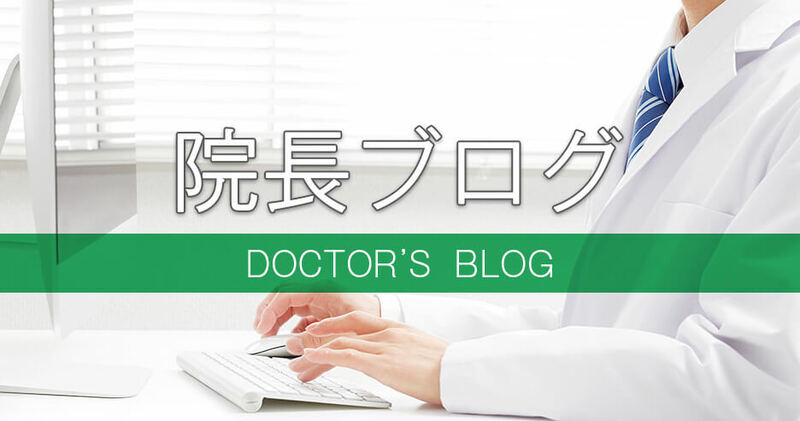 【Results】The data obtained before and 3 months after the initiation of FC treatment were compared. Although the mean pre‒dialysis bicarbonate concentration was not affected by the administration of FC in all patients, it increased significantly in 30 patients with pre‒dialysis bicarbonate concentrations of ＜22 mEq/L. The absorption of FC‒derived iron led to the number of patients with absolute iron deficiency（defined as a transferrin saturation value of ＜20％ and a serum ferritin level of ＜100 ng/mL）markedly decreasing, and the mean erythropoiesis‒stimulating agent dose decreased significantly. 【Conclusion】FC is a phosphate binder, which ameliorates renal anemia and metabolic acidosis. It is particularly useful for HD patients with metabolic acidosis, who are at risk of ectopic calcification.